Ted and Carol Newlin have homes in Park City, Utah, and Lake George and Stillwater, New York where the two of them founded their company Original Works in 1989. The company converts children’s artwork into professional keepsake items as a fundraising project for school art programs. Before taking the helm as CEO of Original Works, Ted received his degree from Princeton University and pursued a rewarding career in Advertising & Venture Capital. Ted has been a member of the Deer Valley® Music Festival Advisory Council since 2008 and the Utah Symphony | Utah Opera Board of Trustees since September 2010. 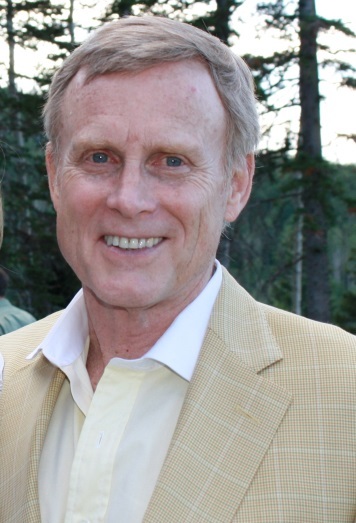 Ted Chairs the Strategic Planning Committee as well as the Deer Valley® Music Festival Council and is a member of the Executive Committee. He also served on the 2015-16 USUO CEO Selection Committee that identified Paul Meecham to lead the organization and is a member of the Organizational Task Force that meets as needed to facilitate communication between musicians, board, and staff of the USUO. Additional community service has included membership on the Board of Midsummer Mozart Festival in San Francisco, Board of Saratoga Opera (formerly Lake George Opera) where he also served as chair, the Business Council of the State of New York, the Board of Shelters of Saratoga serving the homeless in Saratoga Springs, and the Curator’s Society of the Hyde Collection in Glens Falls, New York.